We take a look at some of the new mobile games released this week. 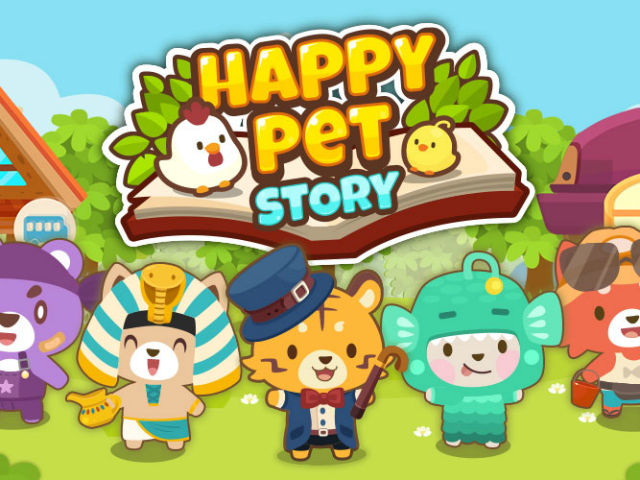 Happy Pet Story (Free on iOS, Android) – This pet simulation game from Happy Labs allows players to create their own pet using over 200 customization options for items including eyes and ears, as examples. After creating a pet, players can decorate its home and further customize the pet with over 200 clothing and accessory pieces. Gamers can play mini-games with their pet, as well as interact with computer-controlled animals or visit their friends’ pets. Moto Joe (Free on iOS, Android) – This challenging endless runner from 3 Magic Shots is comparable to Flappy Bird, as players must tap on the screen to help Joe and his bike avoid traps and other obstacles on the screen. The slightest miss-tap sends Joe flying into an obstacle, which means game over. Players work to earn a high score, which can be shared with friends. Switch & Drop (Free on iOS) – This puzzle title from UnScientific Lab and Chillingo asks players to complete levels by making matches of three-or-more colored blocks, which fall from the top of the screen (think Tetris). As the blocks fall, players can swipe left and right on the screen to change the orientation of the blocks in each horizontal line in order to create matches. Levels become more complicated over time, with items like power-up blocks added to the game. Jolly Jam (Free on iOS, Android) – This line-drawing puzzle game was originally released back in September 2014, before being delisted a few weeks later. The game is now back under the Rovio Stars label, and has been launched on iOS and Android. Jolly Jam is a twist on traditional match-three games, as instead of swapping the locations of symbols, players tap on a chosen symbol and then drag their finger to create a square using another symbol of the same color. All matching symbols within the square are removed from the screen. The level-based game becomes more challenging over time, and includes boss fights. Monster vs Sheep ($0.99 on iOS) – This newest title from Goon Studios challenges players to save a coastal island from an invading sea monster by swiping to fling sheep into his mouth to satisfy his hunger. The monster will advance inland until he has eaten enough sheep to fill a bar at the top of the screen. The faster players feed the monster and fill this bar, the more points and stars they’ll earn for each stage. Mystery of Neuschwanstein (Free on iPad, Android tablets) – This hidden object game from astragon and Chimera Entertainment takes players to the famous Neuschwanstein Castle, where they’ll follow Sarah Hamilton, investigative reporter, on a quest to find the truth behind one of Germany’s most high-profile cold cases. Players will complete hidden object scenes, puzzles and mini-games as they explore hand-drawn locations in this story based on true events. Dreamslide Plus (Free on iOS) – This line-drawing title from Gaffa Games challenges players to draw lines under Little John to help him fly and collect stars while he dreams through 40 randomized levels. Players quickly slide their finger to create lines under John, with physics seeing him speed up on downhill ramps or slow down on inclines. The game is self-described as a challenging experience, as it’s “not supposed to be easy,” and players should expect to take some time learning the proper way to swipe and create lines. Outside of the level-based gameplay, users can play an endless level to earn more points as they work to unlock achievements and climb leaderboards.